Black Mountain BMX is govered by USA BMX which requires all riders to have a membership to be on the track (balance bike/strider also). We offer a one day membership that can be used on a practice or race night. This can be used only one time. The one day membership is $1 plus your practice or race fee for the night. Once you've tried BMX and love it (we know you will) the annual membership is $60 ($30 for balance bikes) and is valid one year from the day you sign up. 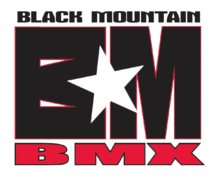 You will get a voucher for a free race when you sign up for an annual membership, valid at Black Mountain BMX only. This membership is accepted at any of the over 300 sanctioned tracks in the United States, Canada and Puerto Rico. Black Mountain accepts cash only when signing up for annual memberships at the track. You have the option of signing up for the annual membership at USABMX.com under the" riders" tab. All race and practice fees must be paid in cash. Please check in at the sign in tower when you enter the facility. Clothing requirements... Long sleeve, long pants, closed toed shoes and an approved helmet. A full face helmet isn't required but highly reccommended. Pants, jerseys and helmets are available at the track for loan with no fee. Bike requirements...We have loaner bikes avaialble at the track for a $5 fee. If you bring your bike from home the kick stand, chain guard and reflectors need to be removed for safety reasons. Number Plates... Riders will be issued a 3 digit number from the sanction that must be displayed for all racing events. We have Black Mountain plates available for purchase at the track. Plates are $25 and include your plate number. Cash only for bike plates. Plese call the track operator Debbie Kelley at 602-999-5979 for any additonal information.